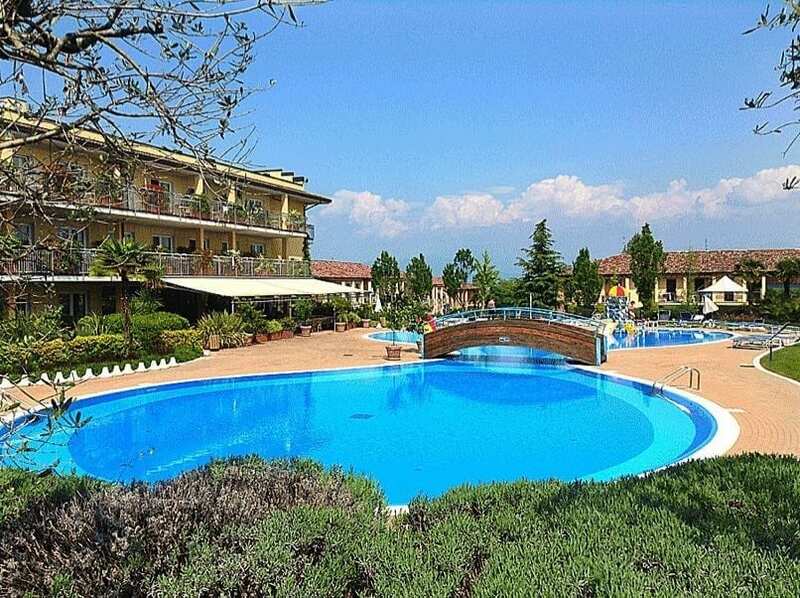 The site is situated on the beautiful Lake Garda and just a short 10 minute walk along the promenade from the centre of Peschiera del Garda. 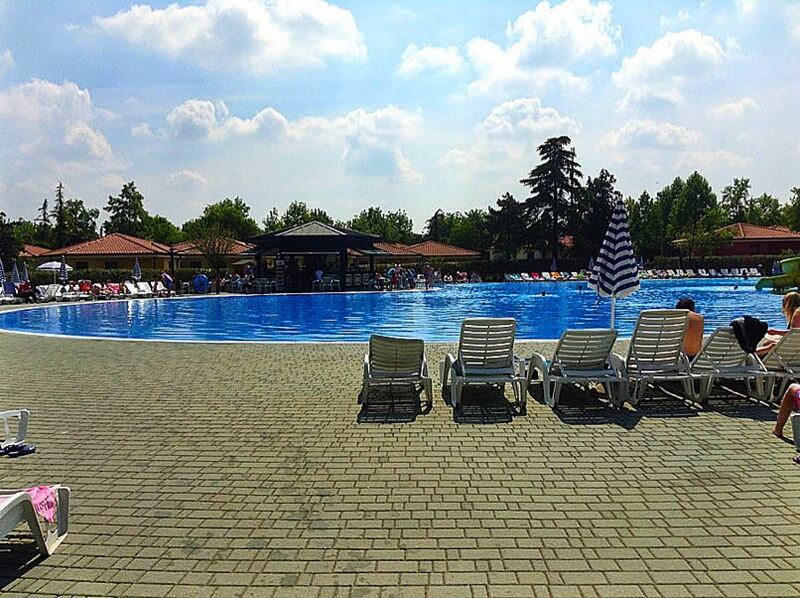 We stayed at Camping Bella Italia for a week which is a record for us. 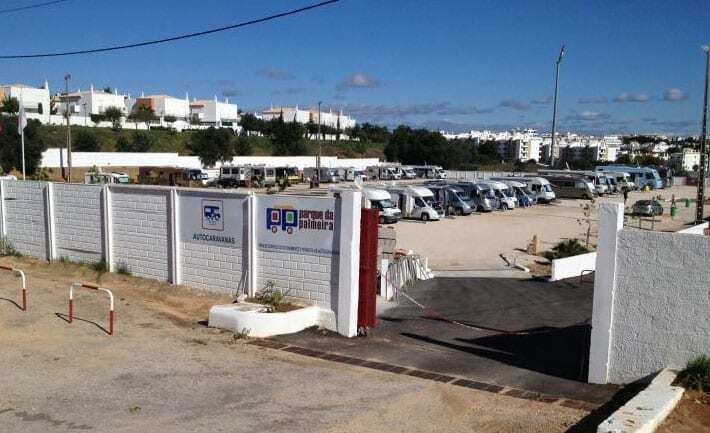 We decided to stay put for Easter after we arrived earlier in the week to avoid all the extra traffic on the roads and possible problems getting booked into another site over the Easter period. 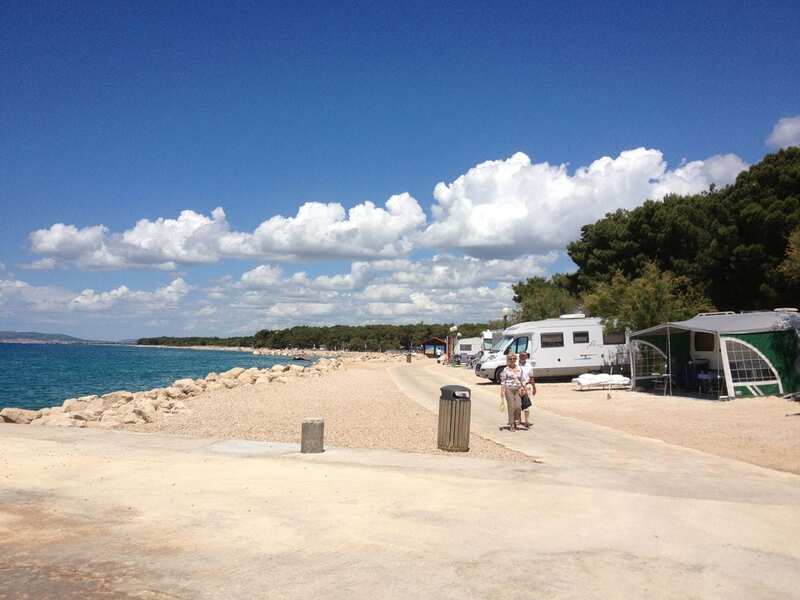 We were pleasantly surprised to find out that the campsite does not put their prices up for Easter and we were still able to use our ACSI card (which is a discount card used out of season until the main holidays in July). 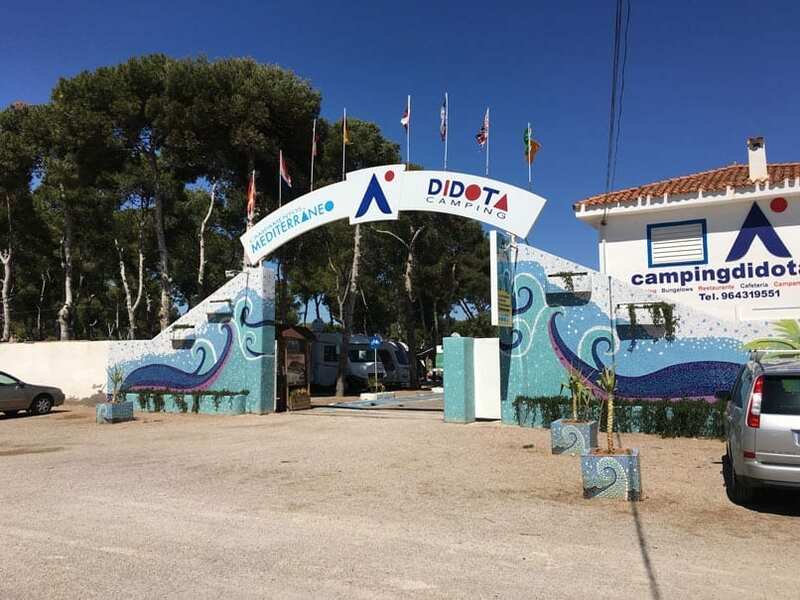 So camping is only 18 euros a night which is a real bargain for this site as it has everything you could want and more. It is Ideal for families too as there is so much here and so much going on for the kids. They call it a Camping Village and it certainly does feel like a self-contained village. Camping On Lake Garda at Bella Italia. 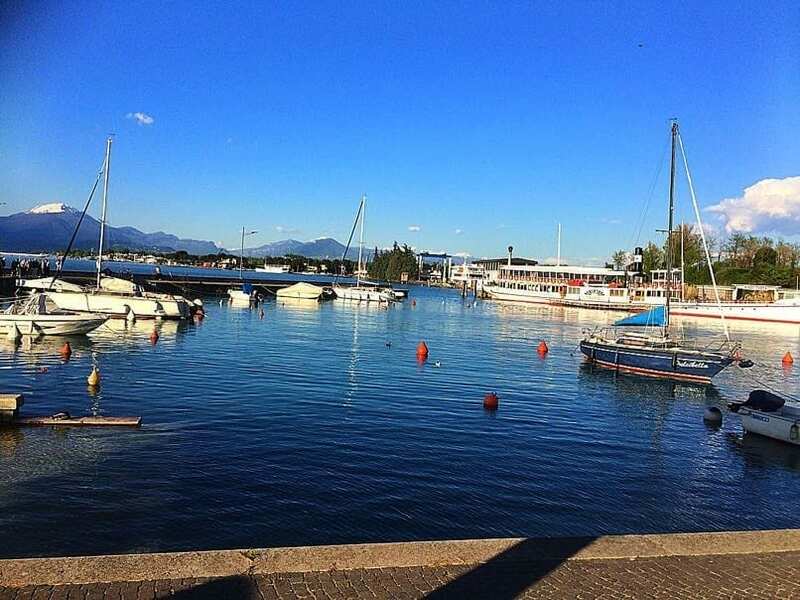 Peschiera del Garda. Outside the site is a kilometre-long beach (Well I say beach but it is stoney but is used like a beach) and a jetty where you will often find people sitting and dangling their feet in the water. The views of the mountains in the distance are breathtaking. 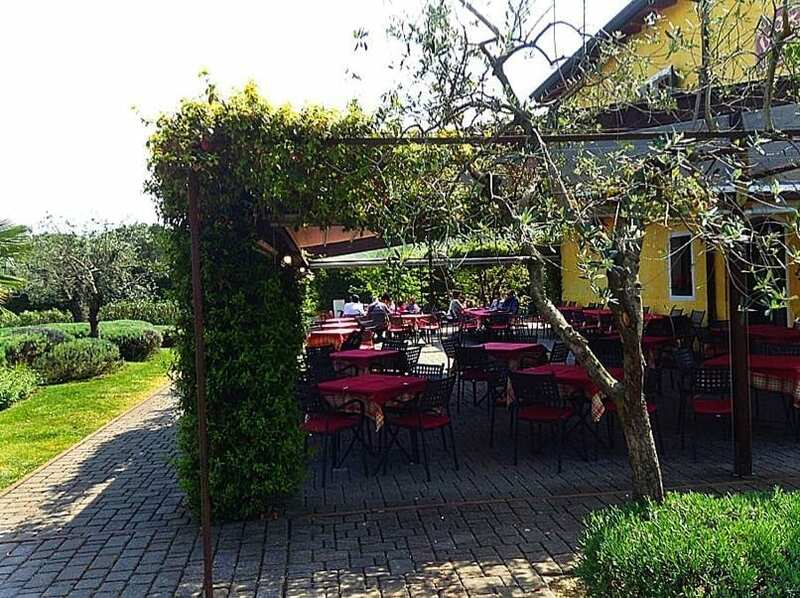 The pathway outside is ideal for walking or cycling and you can go into Peschiera del Garda if you turn right out of the bottom of the site or into a smaller marina and village with a few restaurants and bars if you turn left. 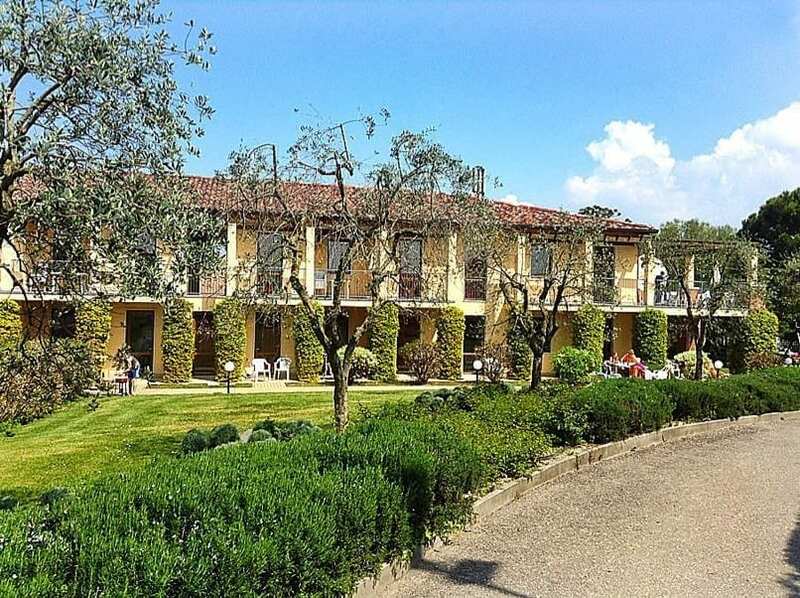 There is a train station in Peschiera so you can travel around easily to places like Milan, Venice and Verona. Venice is about 1.5 hours away on the train. We are not visiting Venice this year because we stayed there last year. Verona is a 45-minute bus ride away and the bus stop is just outside the campsite on the other side of the road. Tickets for the bus can be purchased at the tobacconist on site and the bus timetable can be picked up from reception. You probably could buy tickets on the bus but I had read that this was generally frowned upon. The tickets were very reasonably priced. If you use the train or bus you must remember to validate your tickets before you get on. One thing we did not like was that they do not form nice orderly queues for the bus. When the bus turns up everyone pushes and shoves to get on. (that’s another story and I have written about our unpleasant experience). You can also use the ferry to visit some of the towns north of Peschiera del Garda. The two places we have visited this trip and would highly recommend are Sirmione and Garda. Oh and the auto-route is very near too (not that you can hear it). If you are flying here then Verona is the nearest airport. There is a big Lidl about a 15 minute walk and a supermarket we used for the first time the other day Euro Spin which is very similar to a Lidl. We used the Lidl just before coming to the campsite and was surprised that the bill for a week shopping was only 35 euros. We shopped a few days later for fruit veg and a few items we had forgotten in the site supermarket and was shocked at the price it came to (It was nearly what we spent for a week’s worth of meals) but then again I suppose you are paying for the convenience. We did and weeks shop on the day we left the site at the Euro Spin and again the bill only came to about 39 euros and for that, we had meals for 5 nights which included steak, fish, chicken, chops, frozen seafood, sausages and ham among other things. There is so much here we have never been to a site quite like it before. In fact, I don’t know where to begin but I’ll have a go. Bella Italia has 5 pools with slides and water splash pools. There are plenty of umbrellas and sun beds for relaxing. The Hotel also has several pools although guests can also use the main bigger pools. canoeing and lots more. There is plenty for the kids to do. We went past the entertainment area and there were different tables set out with kids sitting around them doing craft projects, games, music – you name it. There is a mini fun fair ‘Bel Park’ open in the evening (the rides are a couple of euros each, and the Sun Park is a series of bouncy castles and a big slide. The evening entertainment is near the pool and starts around 8 pm when the kids can dance on stage and the official mini disco starts at 8.30pm when the animation team begin the half-hour mini disco. 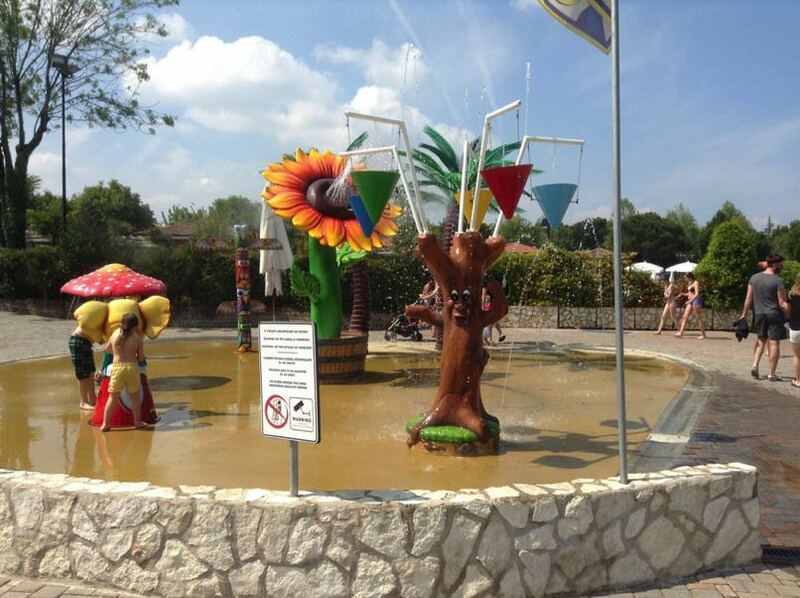 Gardaland can be seen from the site across the lake and you can get a free bus from Peschiera del Garda train station. Movieland is nearby and the Sea-life Centre is also within easy reach for a day out. 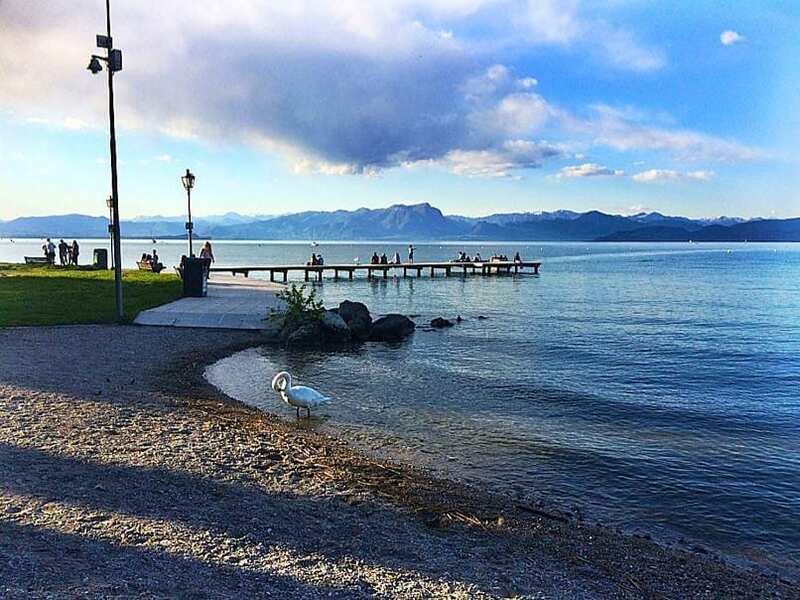 There are several restaurants on site – one in particular with lovely views of the lake along with pizza, pasta takeaway, several bars a well-stocked supermarket, fruit market, bike hire shop, inflatables shop, tobacconist, a shop selling camping bits and pieces and charcoal. As I said at the beginning what more could you want?